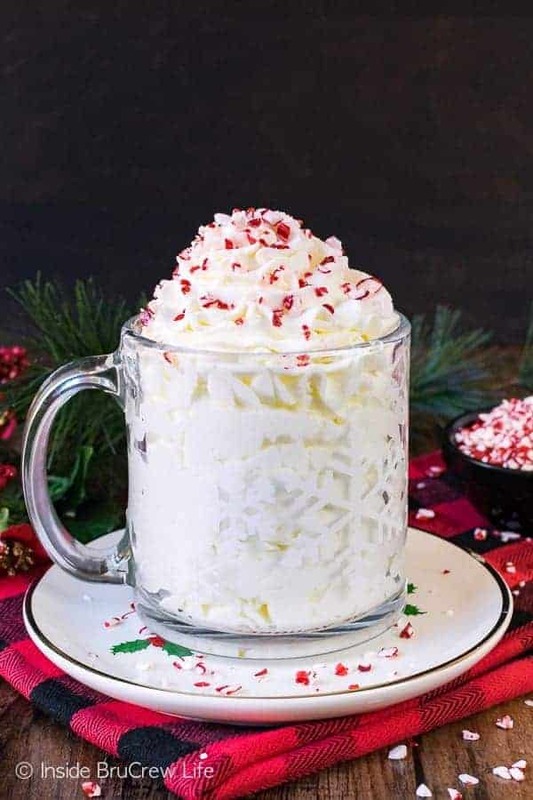 Trust me and keep a batch of this Peppermint Whipped Cream in your refrigerator at all times this holiday season. 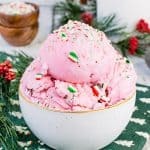 It’s the perfect topping to just about every Christmas dessert! Well, it’s official. I am completely smitten with all things peppermint at the moment. It’s funny how quickly my flavor of the month changes. It seems like just yesterday I couldn’t get enough pumpkin. It’s like a switch in my head (or stomach) gets flipped, and my tastes change just like that. Mostly it’s just a seasonal thing. 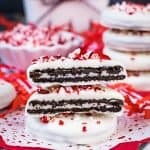 Does anyone else crave specific things at certain times of the year? 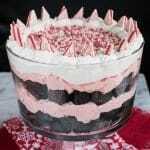 Of course, since the tree is up and Christmas songs are on repeat, all I want in life is peppermint goodness. Of course, that could all change in the blink of an eye. Things like eggnog and gingerbread need a moment in the spotlight too. 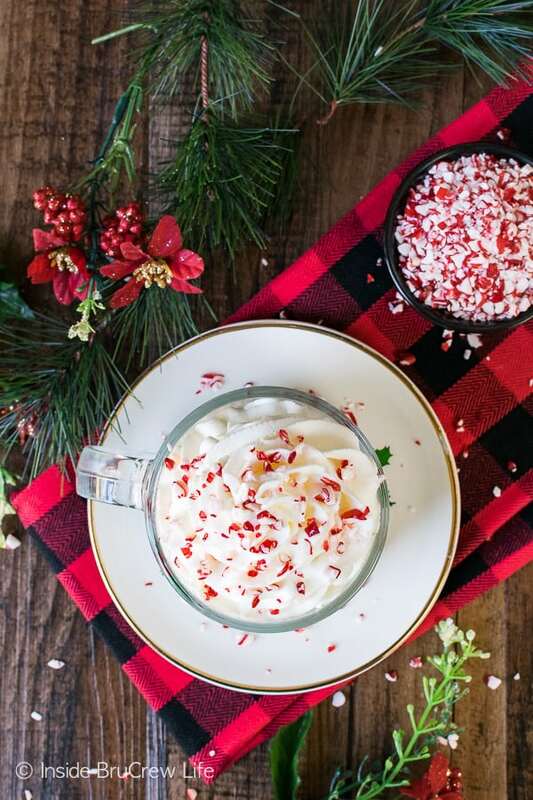 But until then, let’s just chat about this creamy peppermint goodness in a glass. 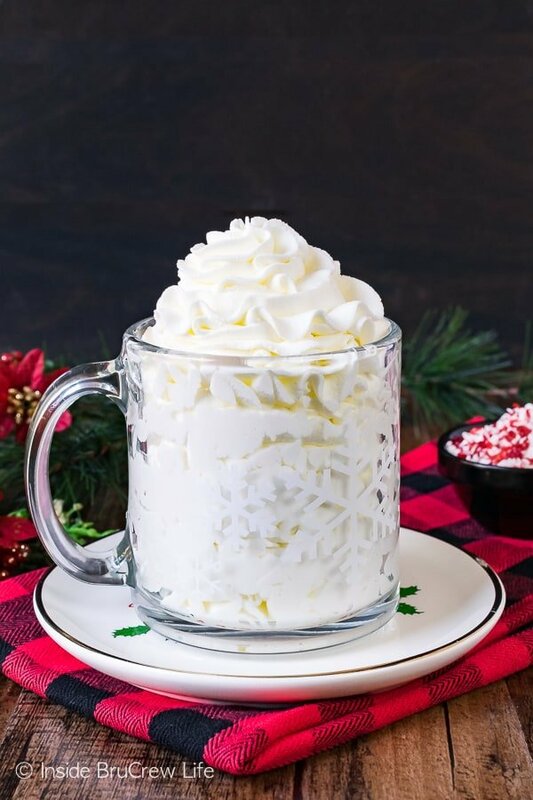 Yes, I realize that swirling the whipped cream in a glass mug makes it look like a drink. I just really wanted to use that snowflake mug. And now I’m realizing that I could have turned it around, so that the handle was in the back and out of sight. Oh, well. Time for a true confession. I used to think I didn’t like homemade whipped cream. I thought I only loved the other white stuff. Don’t get me wrong. I still love the frozen tub of white Cool Whip goodness, but I have learned how to love a good homemade whip too. 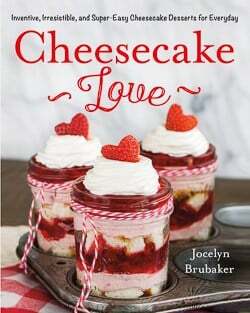 I included a few versions of whipped cream in my cookbook Cheesecake Love. It was during all the recipe testing for that book that I embraced the homemade version. Plus, I love how easy it is to customize your flavors. This chai whipped cream was one of my first crazy combos. Ok, it’s really the only one. 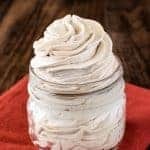 Most of the time I stick with plain or coffee whip because they are easy. Heavy whipping cream and powdered sugar are your two main ingredients. Go in your pantry and take a look at all your spices and extracts. Yup, so many options. Or add a few shots of rum or vodka and make a spiked version for the adults. Since I can’t get enough peppermint in my life, I added some peppermint extract to the bowl too. 5 minutes later I was piping peppermint goodness into my mouth. 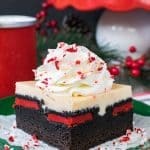 I mean, onto my peppermint cheesecake Oreo brownies. Yeah, that’s totally what I meant to say. 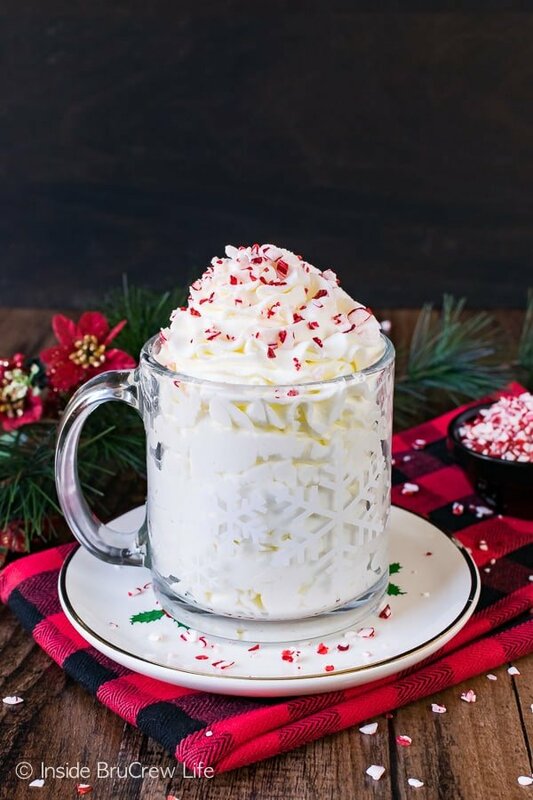 Try adding some candy cane bits to the top of the peppermint whipped cream because it amps up the flavor and gives it a sweet crunch. There is still a full piping bag in the fridge, so I think a mug of this peppermint mocha hot chocolate needs some more peppermint goodness added to it this afternoon. 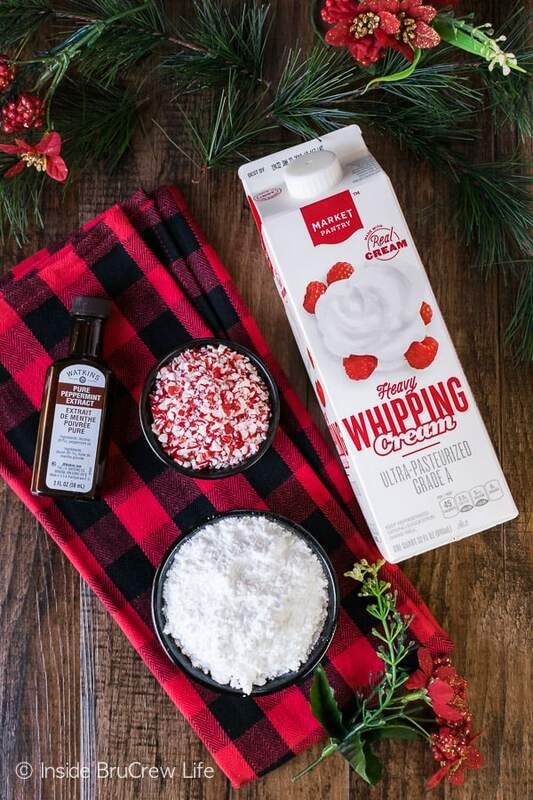 Keep a batch of this Peppermint Whipped Cream in your refrigerator at all times this holiday season. 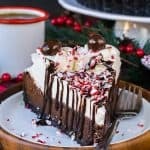 It's the perfect topping to just about every Christmas dessert! 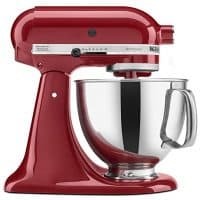 Place a metal mixing bowl and metal whisk attachment in the freezer for at least 10 minutes. Pour the cream into the bowl. Add the sugar and extract. Beat on low until the sugar is mixed into the cream. Increase the speed and beat until stiff peaks form. Use immediately. Or store in the refrigerator in a sealed container for 1-2 days. *This post contains affiliate links. 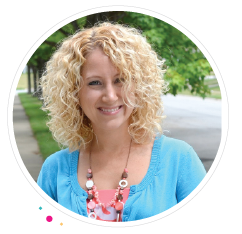 Inside BruCrew Life may receive a very small percentage from sales made through these free links. As always, these links do not cost you any extra. Thank you for letting us share products we use and love this way.